I had some Kent Goldings hops and flaked barley left over from the last batch of stout, so why not make an English pale ale to get rid of them? 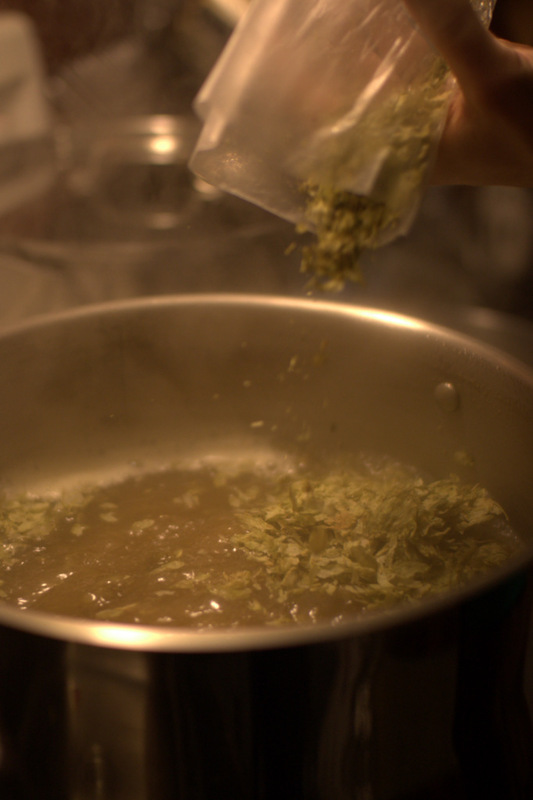 The inspiration for this recipe comes in part from Benelux’s Moisson 2013 English pale ale, and in part from the famous Heady Topper. Both are lightly coloured pale ales with little crystal malt character. 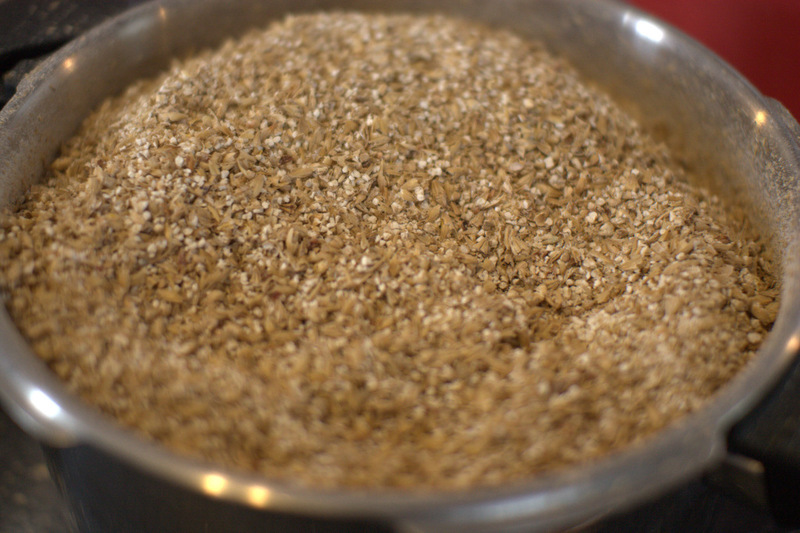 The consensus in the beerosphere about the Heady Topper grain bill includes a dose of wheat to provide some body, and I wouldn’t be surprised if an adjunct grain was used in the Moisson 2013 recipe as well. 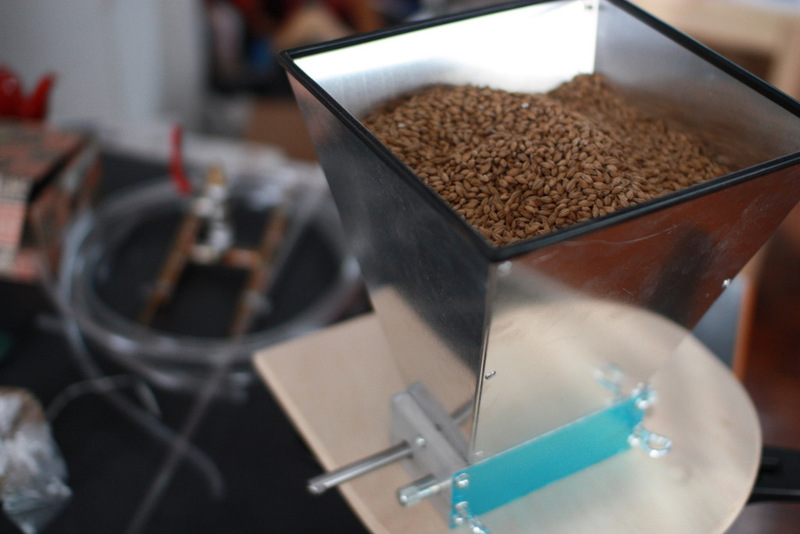 I figured I could achieve a similar effect by using the extra flaked barley I had sitting around. Start with a nice aromatic English pale malt, throw in a big load of English hops at flameout, and I figure I’ll end up with a light, hoppy English IPA. This was my first chance to use the new grain mill that shipped last week from the states, which should give me a more predictable crush, and more consistent efficiency numbers. I went with a fairly narrow roller gap on the mill, which produced a pretty fine crush, as you can see above, but there were no problems lautering, so I think I might just leave the gap where it is. This fine crush seemed to pay off, with conversion efficiency up at 95%. Extract efficiency was 75%, which is exactly what I expected. I think it’s quite possible to do better with some modifications to the lauter tun, but so long as extract efficiency stays around 75% for the near future, that’s fantastic. 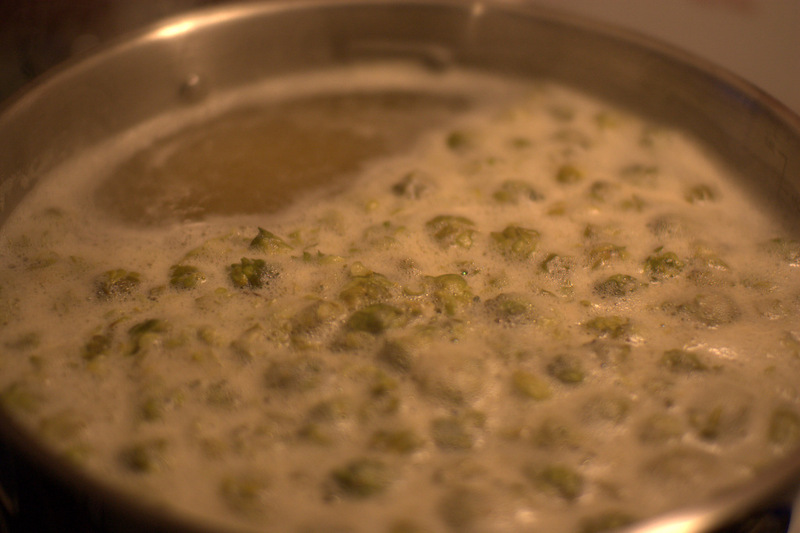 There were lots of whole leaf hops in this one, which look and smell lovely, but are quite annoying to deal with, and result in a lot of trub left in the kettle. At the end of the day, I collected 7.5L of wort. I decided to go with WLP001 to make an uncharacteristically clean English IPA. The esters contributed by English yeast are usually considered essential to the style, but I’m curious about what happens when the earthy old world hops speak louder. 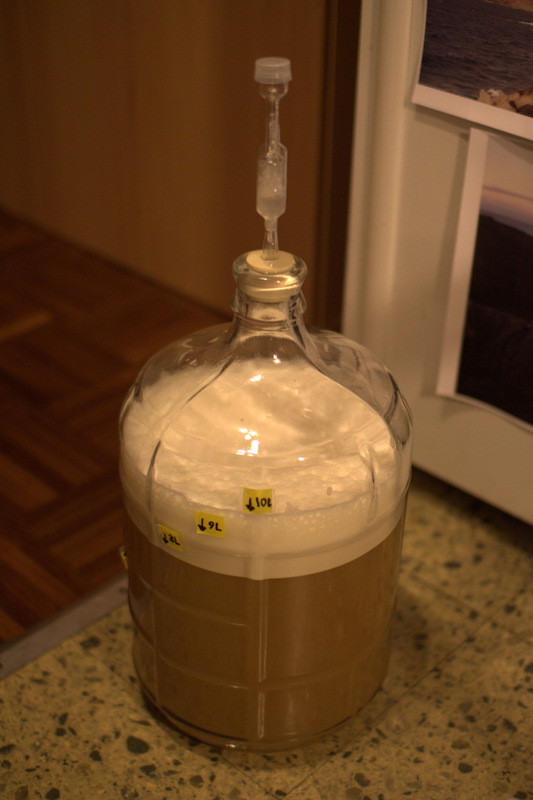 18.12.13: Yeast pitched, temperature at 17C. 19.12.13: Water bath temperature at 17.5C, krausen rising. 19.12.13: Water bath temperature bumped to 18.5C. 26.12.13: Water bath removed, ambient temperature to 18.5C. 31.12.13: Bottled 7.3L with 54g of table sugar (2.8 Volumes).